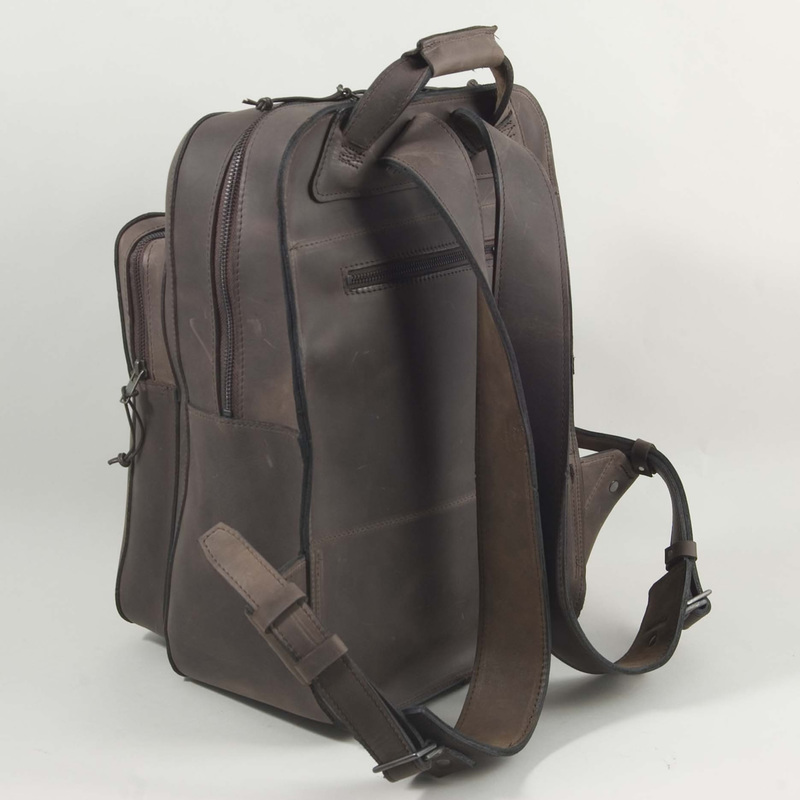 Henry sees so many of this basic design on the street that he thought he should build his own version – with attitude – out of good looking, tough leather. The front pocket has pen slots and a pouch for glasses/ipod/phone whatever. 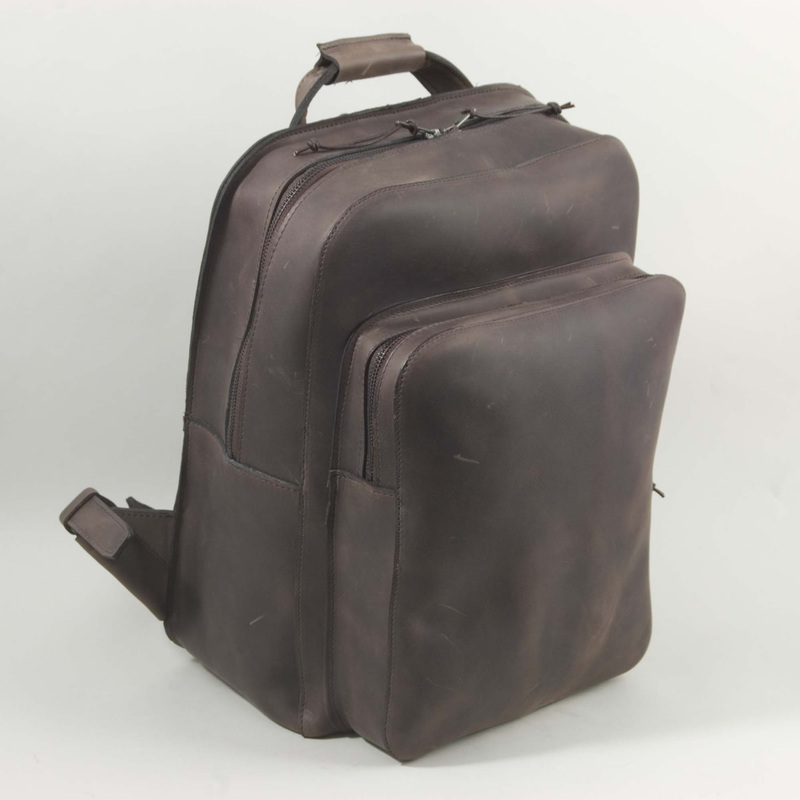 There is a zip compartment on the back to keep sticky fingers away from particular valuables when in a crowded place. 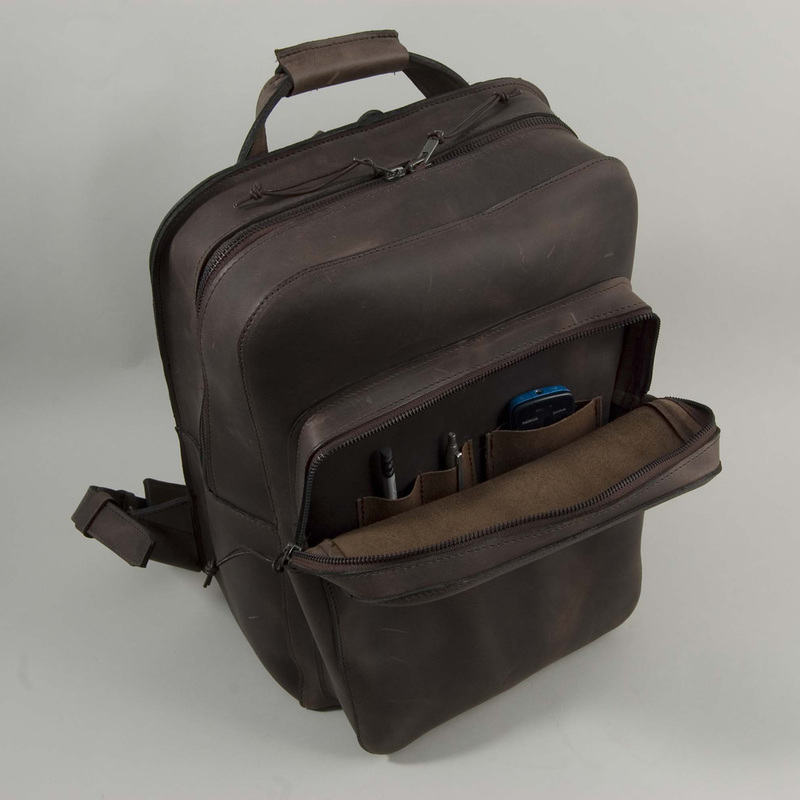 The bag is a larger version of the regular zipper rucksack and will accommodate most A4 files and regular laptops. The shoulder straps are wider than the zipper to help spread that additional load.